RTA Signs in partnership with Reliable Software have developed customised software to collect accurate arrival times of bus services from live traffic feeds provided by onboard GPS systems. 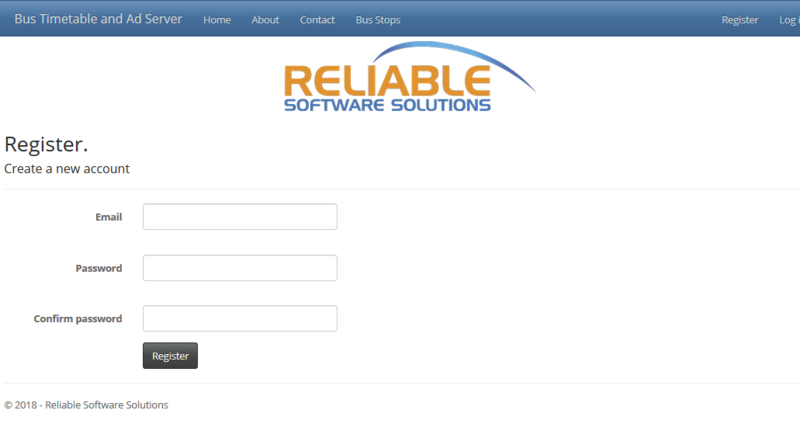 The Reliable software server allows signs to be configured for specific bus stops in a set and forget system. Once a sign is configured for a specific stop all arrival information based on real time data will be communicated to the sign. The sign will then display up to the next 7 scheduled services to arrive. No operator interaction is required. Our customised software also offers operators the option to load specific service announcements to one or all signs. This can be in the form of a scrolling footer or a full second page. Through a web interface operators can access the secure server and display a prepared service message. Service announcements such as closures of stops, delays to service or cancellations of service can be displayed at an operator’s discretion. 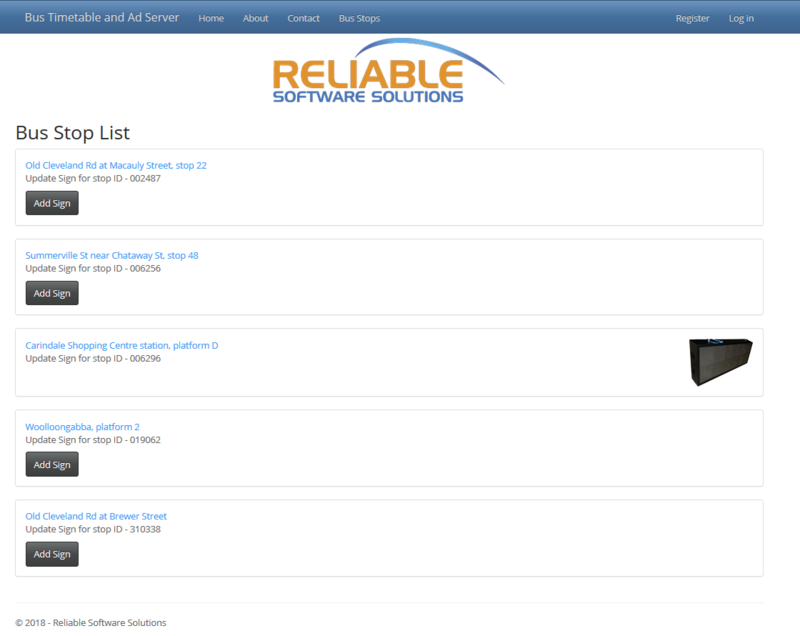 As a software development company, RTA Signs can customise software to specific customers’ needs.